Seeds were counted out and soaked in water with 1-2 drops of h202 for 1-2 hours. 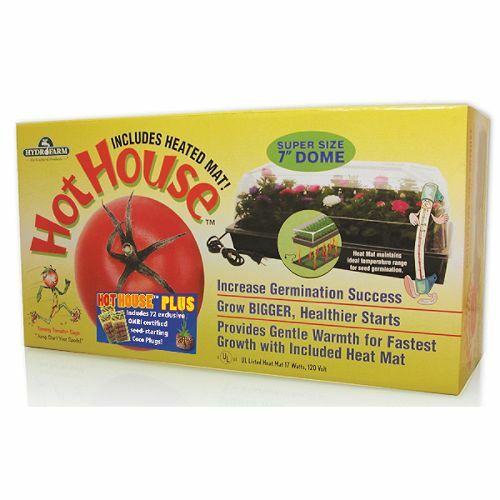 I used a Hydro Farm Hot House propagation chamber as pictured below. Next time I will use a different propagation chamber and explain why later on in the write up. Follow the the instructions that came with the Coca plugs. When the Coca plugs have soaked up enough water to fully hydrate lift the plastic insert out of the tray and drain the excess water, then set the insert back into the tray. Use a pen or other similar object to create holes in the coco plugs to plant the seeds in. Now take the seeds that are soaking in water + h202 solution and drop one seed per hole/coca plug. There is more to come.. This is great, roach - pulling up a log my man, can't wait to see more! This is vital thank you for your sharing, I have a vision where we can send our plants forward to Gabon to return the favor the bwiti have done for us. Since it is a rather difficult seed to sprout I would have to think that Gibberllic Acid would work very well here is a link http://www.jlhudsonseeds.net/GibberellicAcid.htm. Since it is a rather difficult seed to sprout I would have to think that Gibberllic Acid would work very well here is a link http://www.jlhudsonseeds.net/GibberellicAcid.htm. I don't find the seeds difficult to sprout. Here is a copy of an email I sent about starting Iboga seeds. I'm posting it here because I haven't had time to cover this in my grow log and it's different then what I have done in the grow log. I will cover this later on and edit the log. Why did you send the seeds to me dry ? This is how I got the seeds from Africa. It took 3 weeks to get them in the mail. I thought that the seeds were going to be shipped to me in moist baggie. When seeds come in dry I do not moist them again. This could cause them to germinate and die. FYI, iboga seeds die when they dry out. Is this true ? No this is not true. I had germination rates of 60-80% with 6 month old seeds. I will put these seeds to germinate in wet environment right away. Lets see if they are still good to grow. I bought iboga seeds many years ago and all the dry seeds were dead and the seeds that were moist germinated. The seeds might have been alive and you didn't know it. When the seed coat is fresh it comes off seed head easy and the seed will sprout out of the soil. When the seed coat is dry and has soil on top of it it can't push its way out of the soil and will rot. Even though the seed produced roots. Make sure its the plugs that have a mesh wrapping around them. 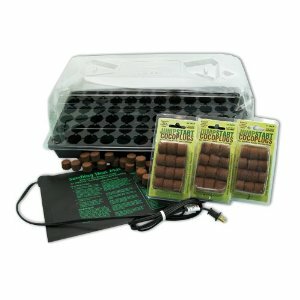 Plant the seeds one per plug and place into the grow chamber. After 7-14 days lift out each plug and check for signs of roots. When you see roots dig the top layer of soil away until you seed the seed head. Leave the plant grow for 1-2 days until the seed head starts to stand up. Once the seed head is standing a bit get some vermiculite, moist it with warm water. Place the damp vermiculite around the seed coat and leave sit for 24 hours. 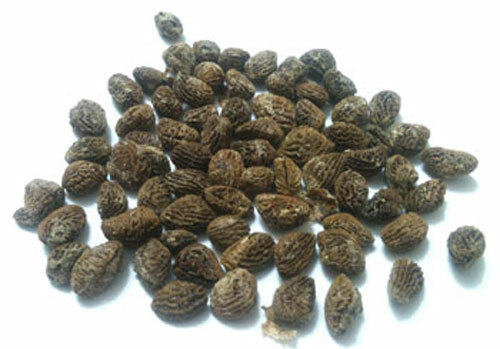 Remove the damn vermiculite, the seed coat is now soft and should come off if you hold the stem of the plant and work the coat with your fingers. Now the plant is ready to grow! See most people don't know the seed has sprouted and it dies. Six month later they dig up the soil and seed a rotten seed. With this method you can see the roots sticking out of the side or bottom of the coca plug and then know your seedling needs some help. Thank you brother, I truly believe this will be a powerful asset in our reciprication towards the creator and his (or hers don't want to offend anyone) wonderful creation. For us to propogate the great jewels upon earth which are true representations of God. It also makes us Westerners not just takers and instead puts us in a position to be givers. I thought I had read an e-mail where you said that the rate of success was either 60% or below, for such a high price I would want to get closer to 100%. With techniques such as gibberlic acid and or hydrogen peroxide I think we could get it closer to that level of perfection, not to be nit picky but let's just say as a poor person I gotta make every penny count. I very much look up to you on this quest and hope that we can truly inspire the ignition of givers to the planet of this marverlous representation of God. Although I have no knowledge of this I would think that Iboga could grow in similar climates along the equator and it would be truly wonderful if we could somehow naturalize it for future generations. The bwiti call there way of life universal and not simply a local phenomena and I think this is a great way of manifesting that vision. I wonder how well you could clone it.. Tissue culture is the next step.. Tissue culture grown in liquid cultures to produce mass amounts of alkaloids. Ibogaine for everyone!!! My thoughts exactly GD get the tissue culture on the move and we have ourselves a real bwiti movement. Tissue culture, Tissue culture rah rah rah! The seeds started to sprout today. I need to get image software on my box before I can update this. Sorry about the poor quality pics. All i have to work with is an iphone. Very beautiful to see roach, thanks for posting!